News Archives | Pentaflex INC. News Archives | Pentaflex INC.
July 28, 2016 /in News /by Pentaflex Inc. It may sound boastful to say that we make the trucking industry safer but it isn’t. All equipment is only as safe as its parts. 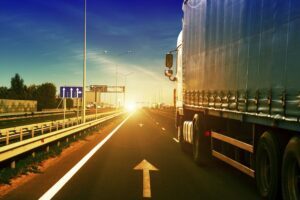 As we are a major supplier of parts that go into commercial trucks we can confidently say that we are helping to keep the trucking industry, all who travel the roads, a little bit safer. The realization that what we do has an impact on people inside and outside of an industry is something that is often overlooked. At Pentaflex we stress this fact to everyone in the company—that it is important for each of us to remember that the parts we supply are vital components in a larger piece of equipment. For example, the axle and brake components we make for the trucking industry must be of the highest quality so that the brakes will function properly. Our capabilities for stamping metal makes a difference. We ensure that each part meets the highest quality standards of the industry and more importantly the high standards we set for ourselves. We ensure that our quality is top-notch so that safety and peace of mind are built into each component we make. So, in addition to manufacturing quality parts we also add in a level of safety that might be missing in components made by other companies. With each employee understanding the role that our parts play in the industries we serve, you can be sure that all parts are made to the highest standards—ours. July 5, 2016 /in News /by Pentaflex Inc.
At Pentaflex, we continue to grow our company by adding new equipment and adopting the latest technologies for contract manufacturing of metal stampings and assemblies. We try our best to stay ahead of manufacturing technology trends and continue to install the latest and best state-of-the-art equipment to ensure the highest quality for our customers. Apparently, we’re doing something right: Many of our customers are repeat customers who come to us from around the world. Another business leadership report, this one from Entrepreneur.com, says companies should “have the technology and corporate culture needed to ensure it will have the most productive workforce in its industry and the best interaction with its marketplace.” The Pentaflex team is dedicated to providing superior service to our customers and a quality product at a competitive price. We’d be happy to tell you more specifics about how we’re serving our customers and how we’re leading the way in adopting new technology and using the latest equipment available to manufacture metal stampings and assemblies. Give us a call at 937-325-5551 or contact us through email at sales@pentaflex.com.